At present, Russia and other member states of the Eurasian Economic Union (EEU) as well as China and the participants in the Belt and Road Initiative (BRI) are forming a harmonious system of international economic cooperation based on strict enforcement of international law, respect for national sovereignty and non-interference in other states’ internal affairs. They are building a partnership grounded in trust and mutual benefits for all participating countries, voluntary combination of their comparative advantages, production and technological cooperation, elimination of trade and investment barriers to create favorable conditions for social and economic development, prosperity of their peoples and achievement of synergetic cooperation. China-Russia relations can be defined as an example of cooperation between countries based on joint responsibility for peaceful and harmonious global development. The joint initiative of Russian President Vladimir Putin and Chinese President Xi Jinping regarding the interconnection of the EEU and the BRI is clear evidence of the willingness to overcome obstacles to maximize harmonization in all spheres of China-Russia relations, increase trade, economic and investment turnovers and establish long-term intercultural dialogue. China and Russia have made significant progress in bilateral trade in recent years. 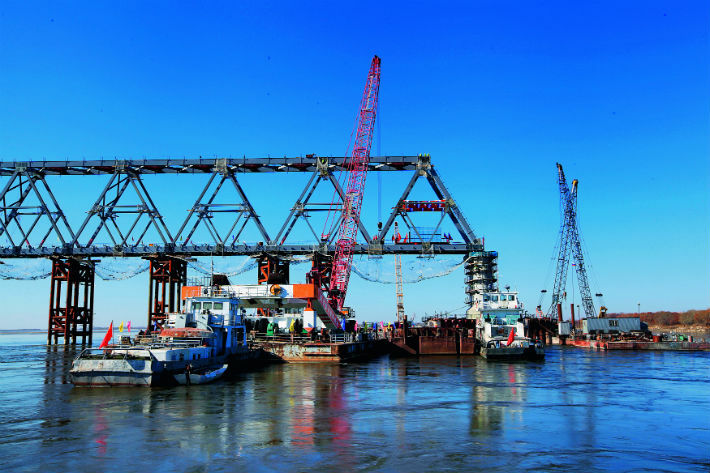 China-Russia cross-border infrastructure cooperation is constantly developing. Transport channels are expanding, exchange of specialists and technologies is becoming more intensive and bilateral multidisciplinary interaction is increasing. First, eliminating bilateral trade barriers. This process has already yielded results after being set up by presidents of both countries. The goal to bring China-Russia trade volume to US$100 billion was achieved last year. To ensure further growth in this area, both countries need additional efforts to standardize technical regulation, sanitary and veterinary control and expand production cooperation between enterprises. Second, transitioning to settlements and payments in national currencies and aligning each other’s payment systems. China and Russia have their own payment systems provided for foreign participation. Commercial banks of the EEU and China can actively use these systems to make payments on mutual trade and joint investment operations. Companies and households could make more active use of mobile payment systems available in both countries. Third, establishing specialized banks and other financial development institutions in national currencies for the purpose of mutual trade and joint investment lending. 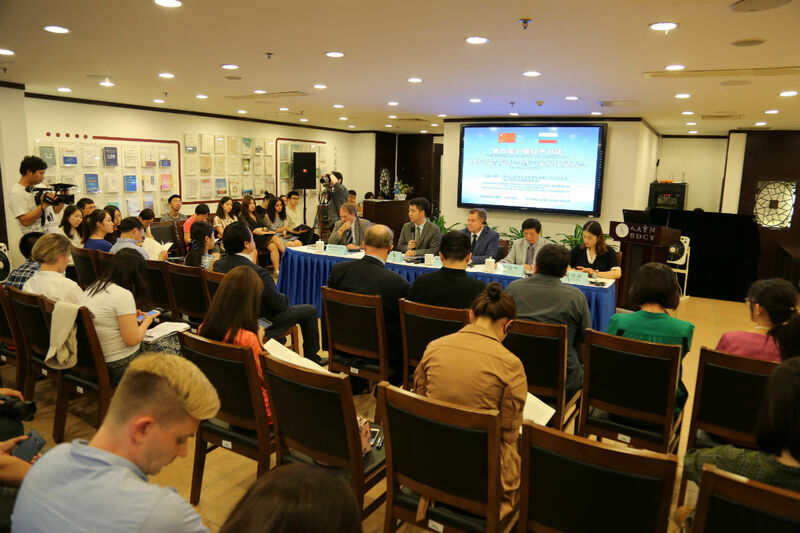 Russian businesses were enthusiastic about the announcement made by President Xi Jinping last year at the Eastern Economic Forum regarding the creation of Russia-China Investment Fund for Regional Development with 100 billion yuan (about US$15 billion). Such bilateral development institutions can become a supporting network for rapid expansion of investment cooperation in all sectors of the economy including capital-intensive and high-tech projects. The most significant investment projects in terms of the conjugative effect for the EEU and the BRI should be financed jointly with the involvement of international development institutions including the Asian Infrastructure Investment Bank, the New Development Bank and the Eurasian Development Bank, just to name a few. Fourth, conducting cultural and humanitarian cooperation in multiple fields. Sharing a common historical destiny, the two countries must strengthen mutual understanding and trust and open the treasures of national spiritual culture to each other. For example, China and Russia have already carried out in-depth think tank cooperation. In July 2018, a report jointly written by Chinese and Russian think tanks was released. The report, Sino-Russian Economic Cooperation Assessment and Prospect: Shared Opinions, was co-produced by the Russian presidential consultant team consisting of professionals in economics, finance, politics, regional geography, and culture, led by myself, and experts from the Chongyang Institute for Financial Studies at Renmin University of China, one of China’s first domestic think tanks studying the Belt and Road Initiative. We proposed the two countries continuously optimize the business environment and create better conditions for bilateral economic cooperation. Moreover, the deep philosophical and theological foundations of Chinese and Russian cultures are the basis for building a harmonious world. We need a deep civilizational China-Russia dialogue. It is necessary to bring together intellectuals of China and Russia who understand that the foundation of the long-term China-Russia relationship is the valuable interconnection of our civilizations and cultures. The author is a counselor to the president of the Russian Federation and an academician with the Russian Academy of Sciences.